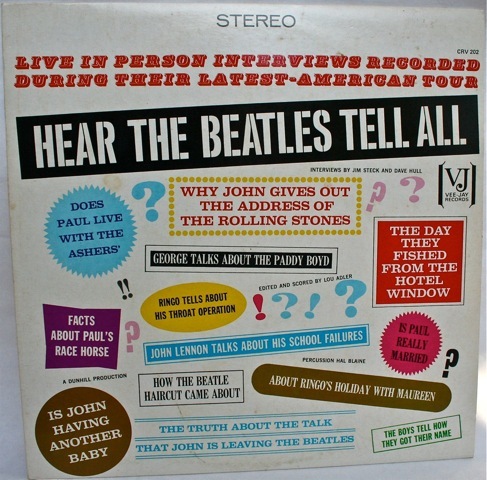 With the Beatles 50th anniversary of the arrival in the US now well under way, it was intriguing to come across a re-issued example of one of the earliest efforts to cash in on that US success. 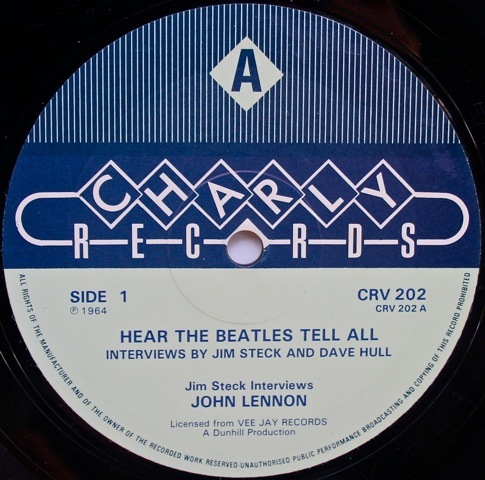 Hear the Beatles Tell All was an interview disc which consisted of two lengthy conversations between the Beatles and Los Angeles radio disc jockeys. 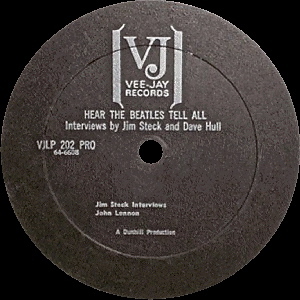 On Side One Dave Hull interviews John Lennon, while Side Two was titled “Jim Steck interviews John, Paul, George, Ringo”. 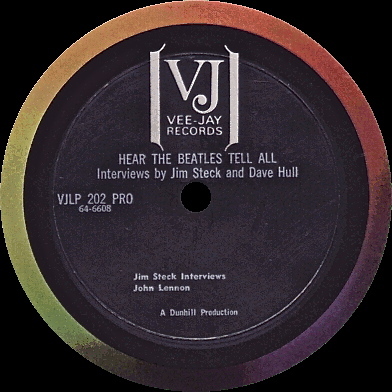 No Beatles music was included on this interview album, rather a quite odd but jazzy percussion backing edited and scored by Lou Adler, and played by then top LA session drummer named Hal Blaine. 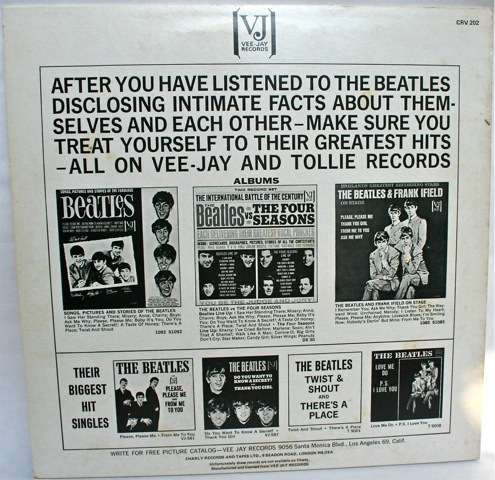 This entry was posted in Beatles, Beatles Collecting, Beatles Music and tagged Beatles, Beatles Collecting, Beatles Vinyl, Charly Records, Hear the Beatles Tell All, Vee Jay by beatlesblogger. Bookmark the permalink.